KETOACIDOSIS: This medical disorder is associated with an abnormally high level of ketones in the body, especially acetoacetic acid and β-hydroxybutyrate. This occurs in people who do not have a sufficient amount of insulin in their bloodstream. Insulin breaks down sugars and this provides energy to the body. Without this functioning, humans are left to create energy in different ways and one of them is by breaking down fat cells. The downside to this is that an inordinate amount of toxic ketones are then released into the body system. This creates Ketoacidosis and its consequences can be severe including comas and possibly death if untreated. KIDNEY FAILURE: Kidneys assist in the removal of waste from your bloodstream. However, they are also critical in red blood cell creation, electrolyte equilibrium, and blood pressure stability. Kidney failure occurs when the kidneys can no longer complete these processes without the assistance of dialysis or through a transplant. 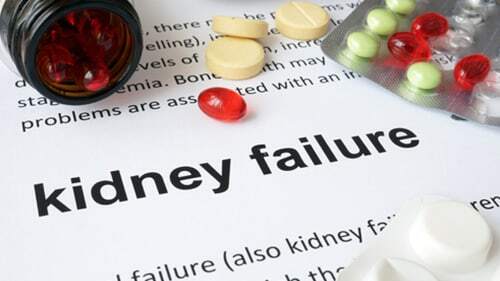 If kidney failure arises and is left untreated, the body can accumulate waste and other toxins that can result in lethargy, headaches, heart defects, and death. MYOCARDIAL INFARCTION: This is the medical term for a heart attack. Of course, many people are familiar with the occurrence of heart attacks but exactly how they arise sometimes causes confusion. They transpire when arteries or blood vessels of the body are blocked for various reasons and are not able to bring blood to the heart and the nutrients and oxygen that come with it. It is almost as if the heart is being choked and it is referred to as "cardiac ischemia." If this problem persists, cells and tissue within the heart will die and cannot be rejuvenated. These are the most significant risks and side effects associated with Invokana. You should carefully monitor these areas of your body for fluctuations after taking it. Of course, if you already have a predisposition to heart, kidney, or other health problem then you should tell your doctors immediately and ask them how taking Invokana could complicate your health. If you do notice abnormal pain or other symptoms following its prescription, then tell your doctors and do not change your medication allotment until they instruct you to do so.